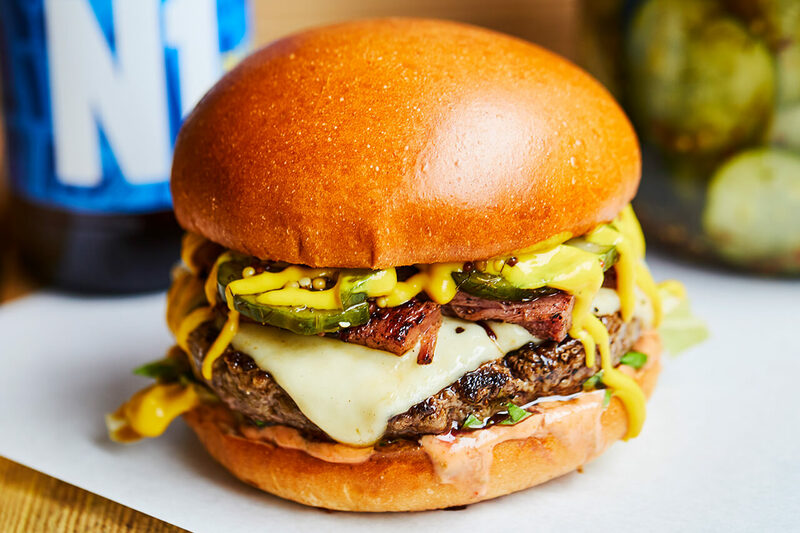 A beef burger with Emmental cheese, salt beef, French’s mustard, burger sauce, lettuce, pickles and rosemary salted chips. This burger is only available at our restaurant in Old St. 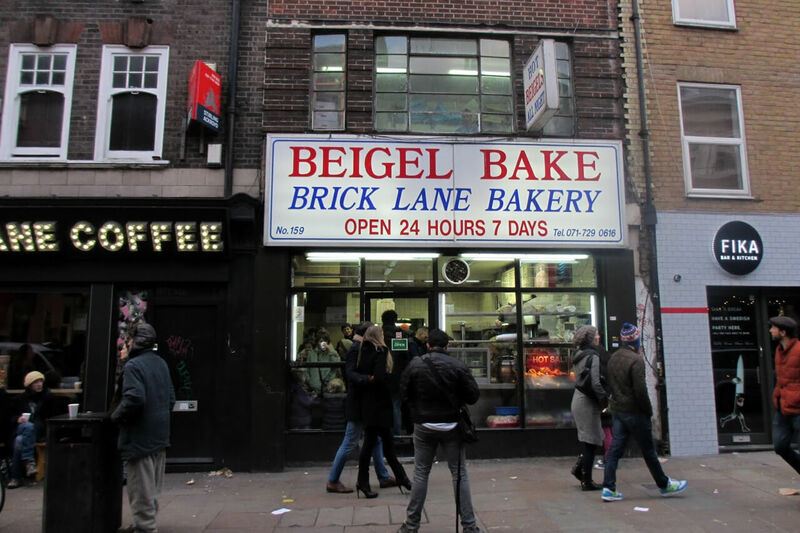 It's a Brick Lane beigel in a bun! Team Honest hero Chris came up with this one, possibly after a few Frontiers. Taking influence from a short stroll down Brick Lane he came back with tender salt beef and a big jar of pickles. 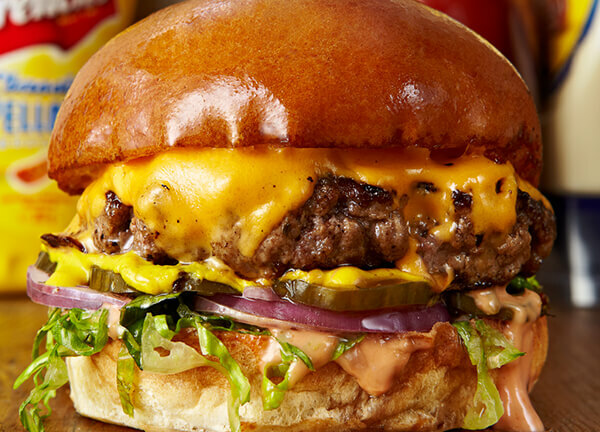 Several stages of refinement later and we have a belter of a burger – it's meaty, sharp and punchy. Good on its own and even better with beer.